The other day I received a vision. I saw Matua and me holding space for community in heart energy via the internet by gathering global community for a ceremonial call. It’s also a creative way to bring accessibility to what he and I are sharing in our combined medicines. This is going to be a space available to all. However, if you feel called to donate, all donations are going to Tenaganita (http://www.tenaganita.net/). Donations are encouraged as a way for us all to show up as people of the earth, to show up for the ones who are in great need currently. It is an acknowledgement that, yes, we are in this together. May we continue to do our best to show up for each other and to weave this reality into being. Matua will share a prayer with us in the beginning. 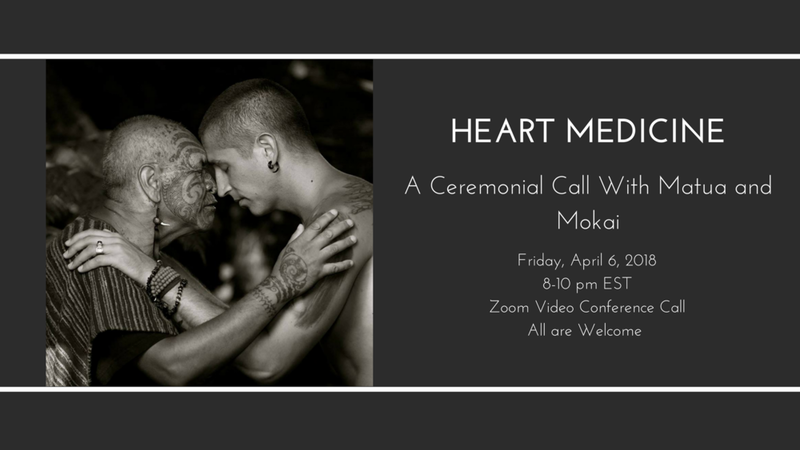 Ultimately, Matua and Mokai will be holding space for you all to share your hearts if you feel called. You may share whatever your heart feels called to share with community. You may also simply wish to be in the energy with community. If you feel called to join, we ask that you reserve your space ahead of time by reaching out to ancestorbridgeteam@gmail.com. The Zoom link will be sent to you then. Donations can be sent to nudaverita9901@gmail.com via PayPal Friends and Family. We’ll then send Tenaganita the collective donation directly with a thank you from global community for their extraordinarily courageous work. And of course, feel free to send a donation even if you can’t be there as well. We look forward to being with you in ceremony and community!